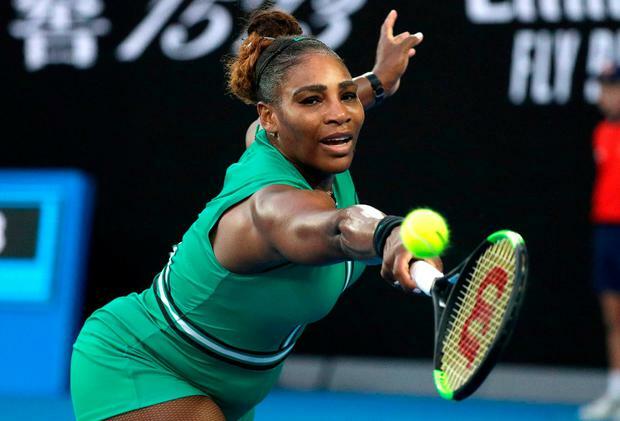 A cartoon published in an Australian newspaper that depicted tennis star Serena Williams having a temper tantrum at the U.S. Open last year was not racist, Australia's media watchdog said on Monday. Melbourne's Herald Sun newspaper and cartoonist Mark Knight denied the image was racist. "The Council considers that the cartoon uses exaggeration and absurdity to make its point, but accepts the publisher's claim that it does not depict Ms. Williams as an ape, rather showing her as 'spitting the dummy'," the council said, using an Australian phrase for a child having a temper tantrum. The image was "a non-racist caricature familiar to most Australian readers," the council said in a statement. The newspaper said the cartoon was intended as a lampoon of the tennis star's angry exchanges with chair umpire Carlos Ramos at the U.S. Women's Singles final in New York. The U.S.-based National Association of Black Journalists said at the time the cartoon was "repugnant on many levels" and "not only exudes racist, sexist caricatures of both women, but Williams' depiction is unnecessarily sambo-like." "However ... there was a sufficient public interest in commenting on behaviour and sportsmanship during a significant dispute between a tennis player with a globally high profile and an umpire at the U.S. Open final," it said.